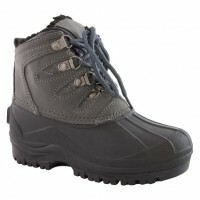 Kid's snow boots have become a very popular, practical and hardwearing piece of footwear for children of all ages. Due to the unpredictabie and sometimes harsh nature of British winters, kid's snow boots present parents and guardians with an easy option; stylish yet highly functional thermal waterproof boots that kids love to wear! 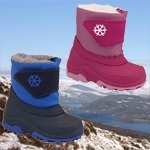 Kid's snow boots come in a multitude of designs, colours and styles. For the girls, kid's snow boots tent to come in pink or white so so young fashion conscious children can fully accessorise with their favorite ski jacket, salopettes or winter coat. 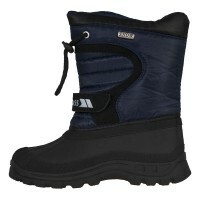 For boy's snow boots, they are typically very funtional and come in either blue or black which are ideal colours for meeting any school regulations on the colour of kid's footwear. Kid's snow boots as well as being functional are usually lightweight and for the younger ones many styles will have velcro fasteners for ease of putting on and taking off. Some kid's snow boots also have a draw cord toggle fastening system which prevent snow getting inside the top of the boot and also allow trousers to be tucked in and secured. The linings of kid's snow boots are usually made of microfleece, faux fur or a polyester pile, all of which will provide much more warmth that a standard wellie. Some linings are also removeable for ease of washing, cleaning or drying out. Kid's snow boots have become really popular following the severe winters of the last few years and for a relatively moderate price parents can be sure that their children will go to school or out to play secure in the knowledge that their feet with remain warm and dry. Worn over the worst days of winter, wearing snow boots will also guarantee that much more expensive footwear, such as trainers or leather shoes will not be ruined by damp, snow and salt on the pavements. And don't forget that all kid's snow boots come with a rugged durable sole unit it making slipping on ice a lot less likely! Prices start from as little as £9.99.